Made available as a digital download album in August 2016. 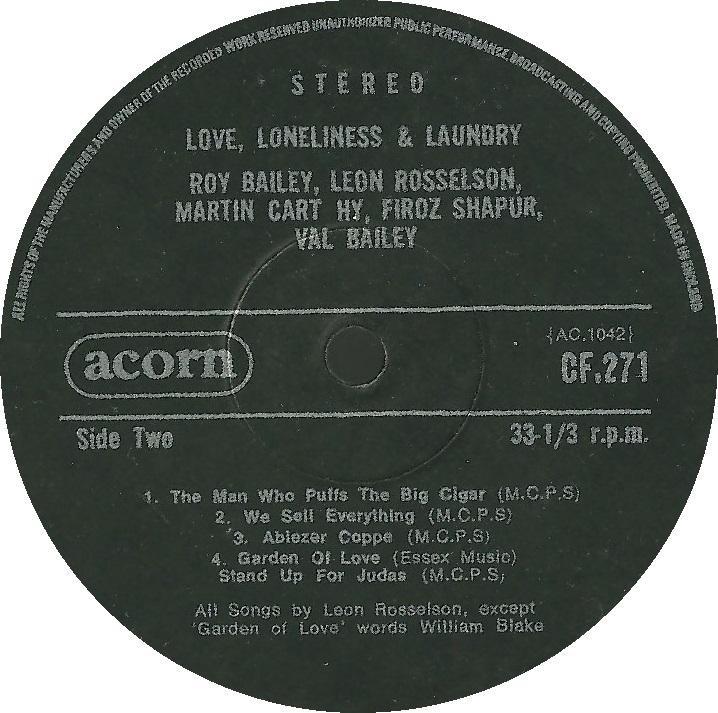 Produced by Martin Carthy, Love Loneliness Laundry was recorded at Acorn in December 1976. 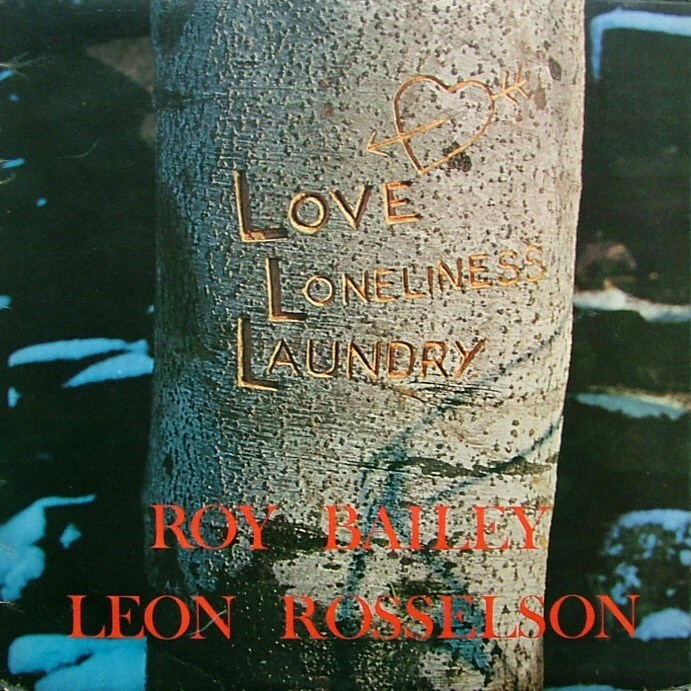 Ostensibly another Rosselson-Bailey collaboration, it in fact drew contributions from a range of singers and musicians. Many of the tracks are old, although most had not been recorded previously. 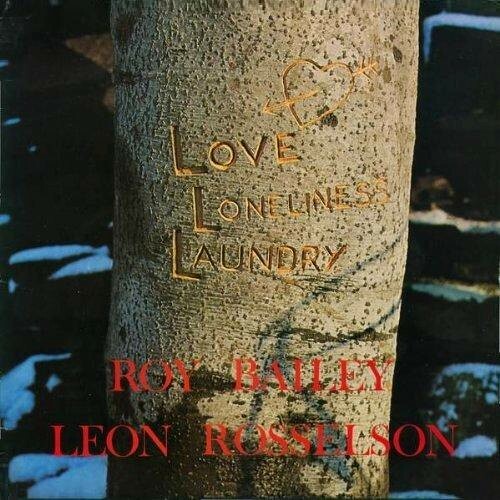 As with his previous album, Leon was able to draw together material from his catalogue to create underlying themes, including a sequence of songs about relationships and marriage on side 1. 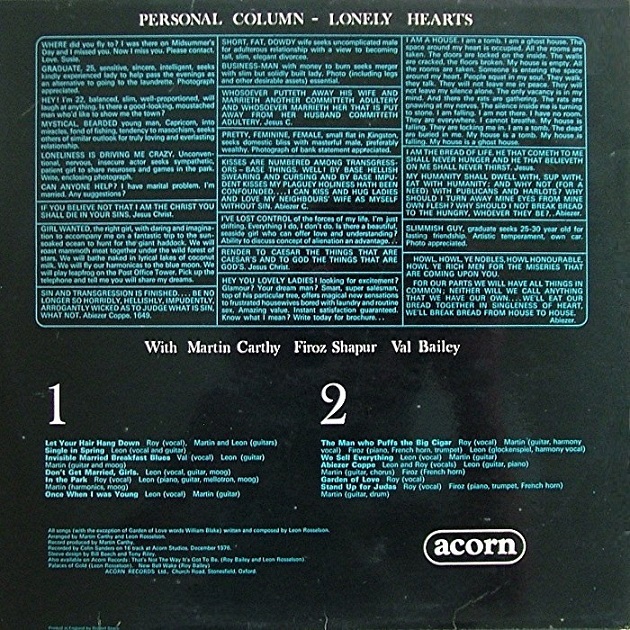 The new material – three songs in total plus an adaptation of an old poem – was grouped at the end of the LP. This album was re-issued by Fuse Records in 1979. 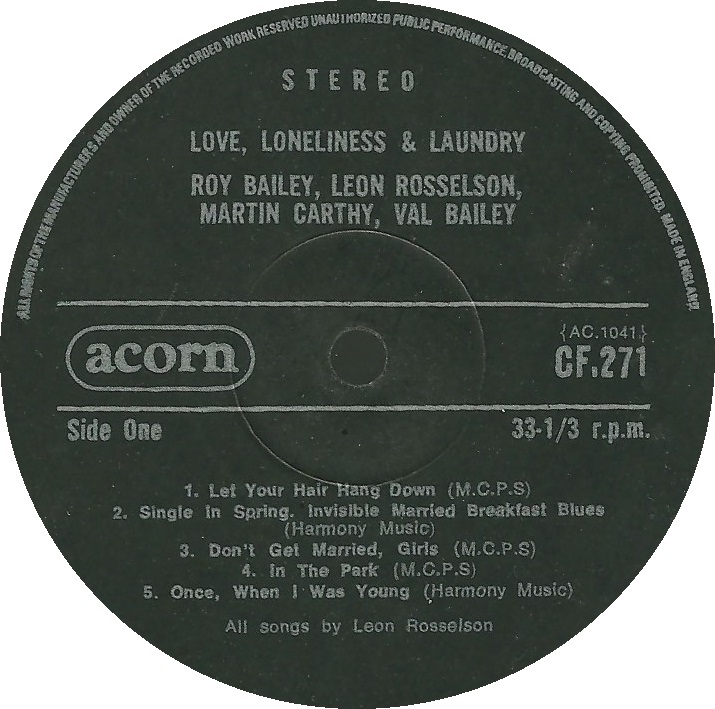 Songs from Love Loneliness Laundry were later incorporated into a live show of the same name along with later material such as "Not Quite But Nearly".